To see where to stay, other places to visit, more things to do, and tourist information, you can read our Melbourne vacation builder . Singapore, Singapore to Melbourne is an approximately 10.5-hour flight. You can also do a combination of flight and shuttle. The time zone difference when traveling from Singapore to Melbourne is 2 hours. In July, Melbourne is cooler than Singapore - with highs of 15°C and lows of 6°C. On the 27th (Sat), you'll have the morning to explore before heading off to Hobart. Your list of things to see and do now includes Rosny Point Lookout, Richmond Gaol, Richmond Bridge, and other attractions. On the 27th (Sat), get a taste of the local shopping with Salamanca Market, contemplate the long history of Constitution Dock, and then take a stroll through Sullivans Cove. 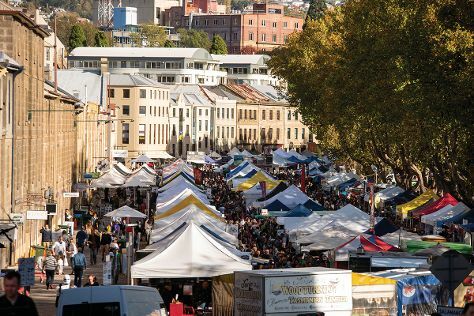 Here are some ideas for day two: browse the fresh offerings at Farm Gate Market, get to know the fascinating history of Battery Point Sculpture Trail, then snap pictures at Richmond Bridge, then contemplate the long history of Richmond Gaol, and finally don't miss a visit to Rosny Point Lookout. To find traveler tips, where to stay, reviews, and tourist information, read our Hobart online tour planner . You can fly from Melbourne to Hobart in 4 hours. Alternatively, you can do a combination of ferry and car; or do a combination of ferry and bus. In July in Hobart, expect temperatures between 15°C during the day and 4°C at night. On the 29th (Mon), you're off toEaglehawk Neck. Your day-by-day itinerary now includes Tasman Blowhole, Devil's Kitchen, Tasman National Park, and other attractions you added. On the 28th (Sun), get outside with Tasman Blowhole, then stroll around Tasman National Park, and then get outside with Devil's Kitchen. To find maps, where to stay, traveler tips, and more tourist information, use the Eaglehawk Neck travel route builder website . You can drive from Hobart to Eaglehawk Neck in 1.5 hours. In July in Eaglehawk Neck, expect temperatures between 15°C during the day and 4°C at night. Wrap up your sightseeing by early afternoon on the 29th (Mon) to allow enough time to drive to Port Arthur. 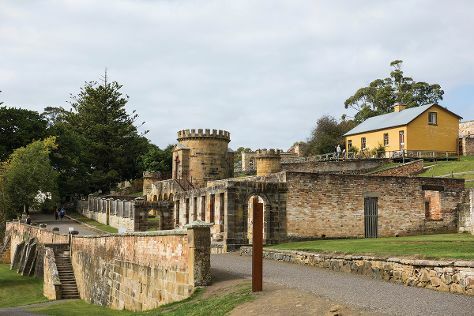 Your day-by-day itinerary now includes Cape Raoul as well as Port Arthur Historic Site. Kick off your visit on the 29th (Mon): get to know the fascinating history of Cape Raoul. For maps, ratings, reviews, and other tourist information, refer to the Port Arthur trip planner . 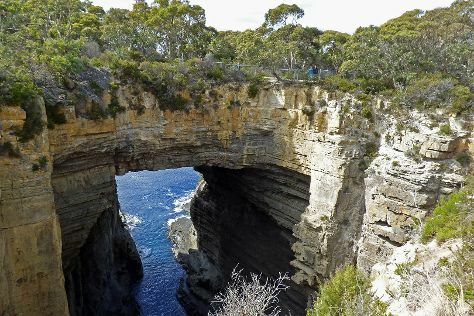 Port Arthur is just a short distance from Eaglehawk Neck. July in Port Arthur sees daily highs of 15°C and lows of 4°C at night. Finish your sightseeing early on the 30th (Tue) so you can drive to Kettering. Kettering is a coastal town on the D'Entrecasteaux Channel (37 km south of Hobart) opposite Bruny Island, Tasmania, Australia. For other places to visit, where to stay, more things to do, and tourist information, go to the Kettering tour itinerary planning app . Getting from Port Arthur to Kettering by car takes about 2 hours. In July in Kettering, expect temperatures between 15°C during the day and 4°C at night. On the 1st (Thu), you're off toMelbourne. For ratings, more things to do, and more tourist information, read our Melbourne holiday planner. Fly from Hobart to Melbourne in 4 hours. Alternatively, you can do a combination of car and ferry; or do a combination of bus and ferry. You'll set off for home on the 2nd (Fri).